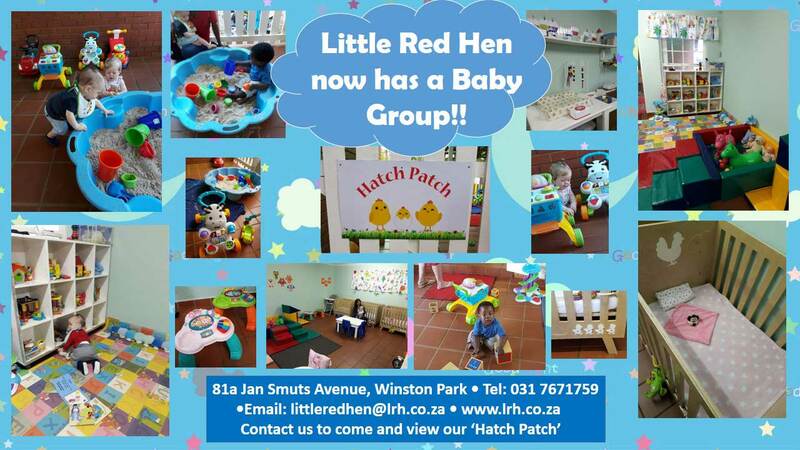 Little Red Hen now has a Baby Group. 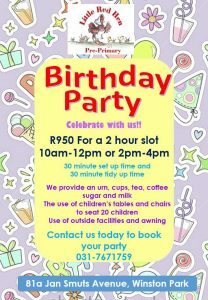 We now provide a safe and caring environment for working moms in the Upper Highway area to leave their babies. 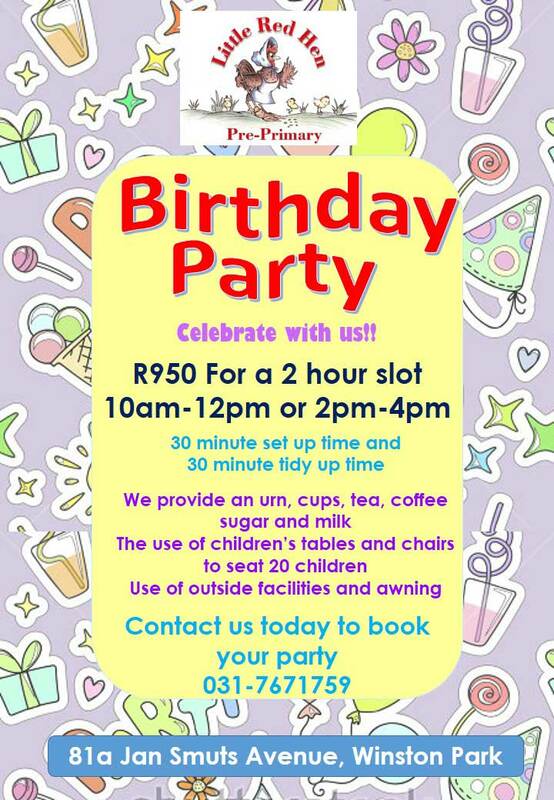 Looking for a well equipped party venue in Winston Park? 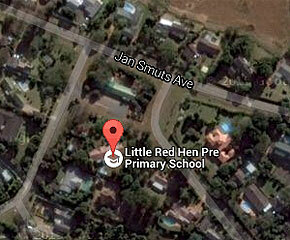 Little Red Hen Pre-Primary now hires out their stunning playground for parties. 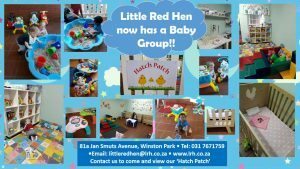 Little Red Hen has a range of structured programmes suited for each child’s age to develop all skills pertinent to the stage of their life and to provide good skills and a solid learning foundation in preparation for their future. 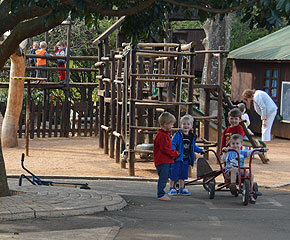 Outdoors, we have a well equipped playground with 5 large jungle gyms for gross motor development. 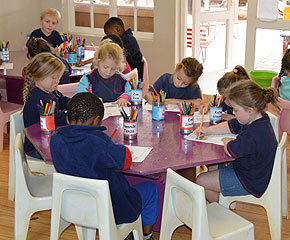 Our Zulu hut is a lovely sensopathic area where the children mould and thread. We have a large selection of tricycles …..